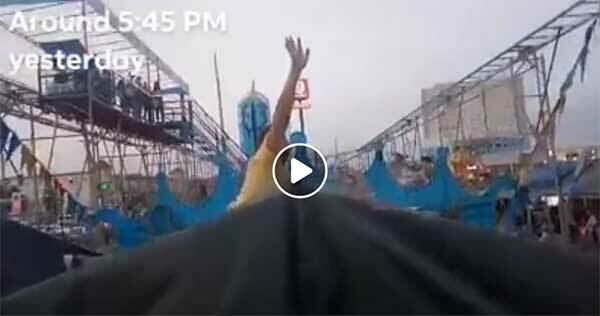 Thanks to a tent, the lives of a mother and her child were saved after they fell from a Ferris Wheel at an amusement park in Iloilo City. Reports said the accident took place last Saturday, January 26, when their seats got unlocked. The woman and the 2-year-old boy immediately fell while a 4-year-old child was able to hold onto the railings until he got rescued. It was reported that the mother and child suffered body pains but refused to be sent to the hospital. Their identities remain unknown as of this posting. The operation of the ferris wheel was temporarily suspended. Reports said the funfair's owner and those involved in the accident already had a conversation.